Penryn vs Falmouth town, pick of the fixtures perhaps? Falmouth 1st team (the old penfal) playing Friday night, could be seeing a few of the old boys methinks. And very welcome they will be. The story/reason why is too long to even make short and nothing to do with referee shortages. But I would just like to say a massive thank you to Ian, all 4 teams, managers and Adrian Walters for organising it all this week. Top Work.?? Bar opens at 1pm with live footy on the TV. Our U14s KO at 10am v St Agnes, going to be a cracker of a day if you wish to make a whole day visit to VP, see you there. Big game for us v redruth we will be giving it all to get our first win of the season. 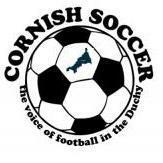 St Just v Porthleven is postponed as Porthleven can not raise a side. What!!!! Too far to travel or what? Perfect weather for a game at St Just too. Passionate game at Carharrack today. A big thank you to Redruth for a minutes silence before the game for Billy Chown who passed away last week. carharrack were asleep for first half and conceded 3 sloppy goals, (penalty after 2 minutes, one on one second and Cross that evaded our keeper due to sun). after a few choice words at half time the lads came out flying. Tom Fisher hit a 25 yard volley to get the comeback on. Jamie Tipton hit a 20 yard free kick into the top corner. Redruth had a player sent off In the last 15 minutes and Carharrack threw everything at them with Redruth keeper making a great save from Dan Head to take the points. Hayle 7_0 , 3 nil ht att 41 plus 1dog a Mike dowrick , and Bob Butler , good win , St Agnes have some young players and they try to get the ball down a d play football, Hayle were just to strong on the day the aggie keeper made some important saves to keep the score down , ref Matt had a good game and played advantage well leading to a goal for Hayle , 4 bookings and a red card late on for an alleged stamp on the aggie keeper , which is correct action for this offence, . Pitch was in excellent condition again thanks to groundsman of the year Greg , cracking weather bit of confusion over goals scored for Hayle or it might just be a senior moment lol , just wait for someone to put up later , some good young players at St,Agnes if they can stay together they will come good in the long run . Goals at Carharrack were 4th (pen), 12th and 45th+1 minutes (all to Redruth), then 61st and 65th for the reds. Player dismissed on 80. How many clubs coach tactics for when playing either with 10 or against 10 men? Very encouraging 2nd half for Carharrack but alas no points. Players still diving in rather than jockeying despite manager's efforts. Too much forgotten as they cross that line onto the pitch! Might have done better if the half-time words had been heeded: not one shot out of the sun in open play in the second half: very disappointing. The 2nd half effort, though, was 100%. Chatted with Hoony 1st half, he worked with Billy for years so came for the minute's silence. Nice the way he players arranged themselves round the circle for that. Billy was a true legend. Illogan 1 Perranwell 3 - Plenty more incidents in a keenly contested match as Barry suggested, most courtesy of shall we say relaxed refereeing both ways. The Well took their chances and could have had more, Illogan were rightly awarded a penalty mid way through the second half to bring the scores level, but from the kick off, the Well went straight up the other end to restore their lead and added a third about 12 minutes from time, and had a good shout for a penalty themselves, but the ref thought differently. Good to finally see the Magician on the scoresheet for the Well, only 5 more to go Dave before you start to worry Kempy! Thank you to Illogan for your hospitality after the match and for the immaculately observed minutes silence in honour of Mr Chown. A good game at Carharrack this afternoon in the lovely sunshine. A very poor first half from Carharrack. A sloppy penalty conceded early on which was well converted by Simon James. He was definitely causing the defence problems this afternoon. Redruth were clinical in the first half and took a comfortable 3-0 lead in to the break. Listening to the half time talk from Carharrack, a few harsh words were said. However, they were harsh but true. It was a much better performance from Carharrack in the second half. They were two really well taken goals. They certainly put the pressure on as time went on, particularly after the Redruth red card. On that note, the sending off for receiving two yellow cards was correct. All in all a good game. The result was probably the right one. As Redruth did play some really good football at times. On the balance of it, more so than Carharrack. Some lovely food to go with the game on show. Carharrack much improved from when I last saw them back in August. However, they are still some way off. Also some players I believe aren't up to that level. But if they keep going that first win will come. I take it St Just will be awarded the three points following Porthleven Reserves failure to fulfil their fixture. What do the rules say, CTB? Three hone games have not taken place at St Just so far. Helston because of no referee, St Teath and Porthleven failing to raise a team. Nothing negative in thus post on Non League Day. St Just wanted to play allvthrre and the pitch us in excellent condition. Just quoting the facts. action packed game from start to finish. Good game today and if carharrack were more clinical the 2nd half score could have been different. Couple goals of the season contenders too!! It certainly was a good game. Like I mentioned, Carharrack have certainly improved from when I saw them back in August. However, still got a lot of work to do. Cut out sloppy mistakes and that will go a long way to stopping the slide they are on. They've got some good players in that team. So it's being able to utilise that and work out a way forward. From the angle I was at I would say the first goal was better than the other one. Was it Tom Fisher with the goal?! Both were good goals. But it was probably the first goal that was the better of the two. I'd say that because the ball was still in play and it was probably harder to control the ball like he did and then hit it on the volley. The free kick was good. But it was from a dead ball so would've been that little bit easier to get a cleaner strike on it! Tough game at Kernick today, Falmouth beefed up with a few new faces, certainly stronger than the last game. A lot of possession in the first half, with Penryn having to soak up a lot of pressure, Penryn not really getting going with Falmouth quick to close us down and stopping our passing game. However we soaked it up and came out a lot better in the second half, got a bit of our passing together and the two goals followed in between a lot of Falmouth possession again. But we defended well, blocking all of Falmouths attempts, with a couple of good saves from the keeps keeping the goals out, we came away with a nice 2-0 win. A healthy 100+ watched a pretty good game of footy today, with Falmouth leaving wondering how they did not get at least a point......great defending winning the points for us this afternoon. Yep strange one... felt we actually played really well football wise.. story of our season tho...not converting chances and conceding soft goals. Credit Peranwell tho.. they are a good outfit. Thanks for nice words about the set up... credit mikey pascoe for the changing rooms and robert mugford for the pitch. The lad leivers scoring for fun again .wasted at that level . The fella is class act for sure. Issac, we have to wait until the next Committee meeting. Will be in a couple of months as only just had one last Thursday! Went to take in the St Day vs West Cornwall game yesterday. On paper, I expected a wider margin, but have to say WC gave a very good account of themselves that belied their league standing. WC nearly took the league, a delightful lob catching the keeper off his line, unfortunately just drifted wide. St Day had the lions share of the ball, but their often use long ball into the channels didn't create anything more than half chances. WC were happy to let the Saints have the ball, and use their pace on the counter attack, which brought about the opening goal of the game. Jowan Kitchener put a lovely cross to the back post, and was bundled in at the back post. Some claims of a hand but could have hit anything! Saints kept pushing and eventually got back into the game, defensive error gifted them an opportunity that was well taken, via a deflection that probably would have been saved. WC then had another glorious chance but when 1 on 1, the striker lifted the ball over the onrushing GK and found the roof of the net. From the goal kick, the ball went up the other end, Saints won a fee kick and scored from the ball in. These things always happen when you're looking up the table! HT 2-1. 2nd half Saints looked to take control of the game and in fairness had most of the ball and looked the only team likely to score. Eventually they did when sub Cleverly cut in from the right and hit one through a crowd of players. After some protests about a possible offside, the goal was given. Saints had a few more chances to extend their lead, and WC had another great chance to close the gap but no more goals were scored a day it finished 3-1. Saints deserved the win, but that was a performance from WC that would have beat a few teams on the day. If only they took the early chances, it would have been a different game. Stood on the touchline I counted 8/9 players that could come back in if they wanted, that's a huge difference from last season, but the many 2nd team players that stepped up yesterday held their own, and credit to them for doing so. Shame others don't have that commitment. Easy to walk away when the chips are down, but if they play for each other like they did yesterday, results will certainly turn around. Colin Kettle still going in combo. Tom Annear played as he was unavailable for the Friday night first team game and substitute Ryan Martt coming on after 83 mins..
Its good to see Penryn on the up and hopefully back in the new Cornish structure next season and football interest in the Falmouth Penryn area has picked up accordingly with both clubs doing well.